In a first, British scientists have 3D printed human corneas that could cut down shortage of eye donors available for transplant. In the research, researchers from Britain's Newcastle University, mixed stem cells (human corneal stromal cells) from a healthy donor cornea with alginate and collagen to create a solution that could be printed or a "bio-ink". "Our unique gel -- a combination of alginate and collagen -- keeps the stem cells alive whilst producing a material which is stiff enough to hold its shape but soft enough to be squeezed out the nozzle of a 3D printer," said lead author Che Connon, a professor at the varisty. The results published in the journal, Experimental Eye Research, also stated that the stem cells could culture -- or grow. 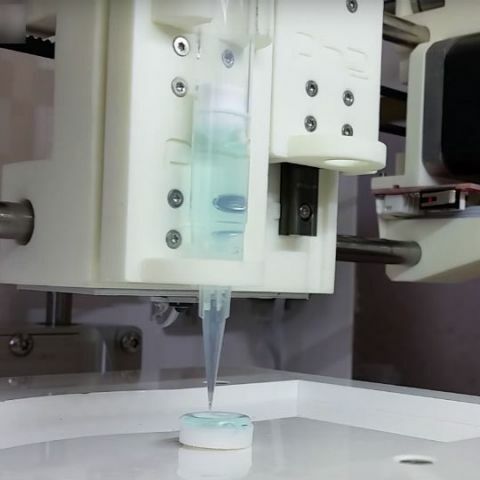 "...we have a ready to use bio-ink containing stem cells allowing users to start printing tissues without having to worry about growing the cells separately," Connon added. Further, the study also demonstrated that the cornea could also be built to match a patient's unique specifications. The dimensions of the printed tissue were originally taken from an actual cornea. By scanning a patient's eye, they could use the data to rapidly print a cornea which matched the size and shape, the team explained. "...what we have shown is that it is feasible to print corneas using coordinates taken from a patient eye and that this approach has potential to combat the world-wide shortage," Connon said. However, the researchers admitted that further investigations on 3D printed corneas are needed before they could be used in transplants.